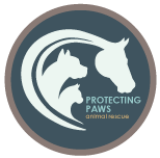 Protecting Paws Animal Rescue is an animal rescue based out of Prior Lake, MN. We are 100% foster based and do not operate out of a shelter. All of our fosters and board members are volunteers. We primarily focus on dogs and cats, but have also rescued guinea pigs, rabbits, pigs, goats and horses. PPAR cannot saves lives without foster homes. Click below to learn more! Click below to see which animals are ready for their fur-ever home! We need YOU to help us save lives! Click below to see how you can help! Brewery Lovers - This Deal is for YOU! Click the Image for more info!